Alcoa scholarship recipients with their parents. THREE Mandurah Year 12 students were among seven Australian high school students awarded a US$4000 scholarship by the Alcoa Foundation to support their tertiary education in 2016. The competitive Alcoa Foundation Sons and Daughters Scholarship Program honours students demonstrating excellence in leadership, academic achievement, volunteering and community service and who are children of Alcoa employees. 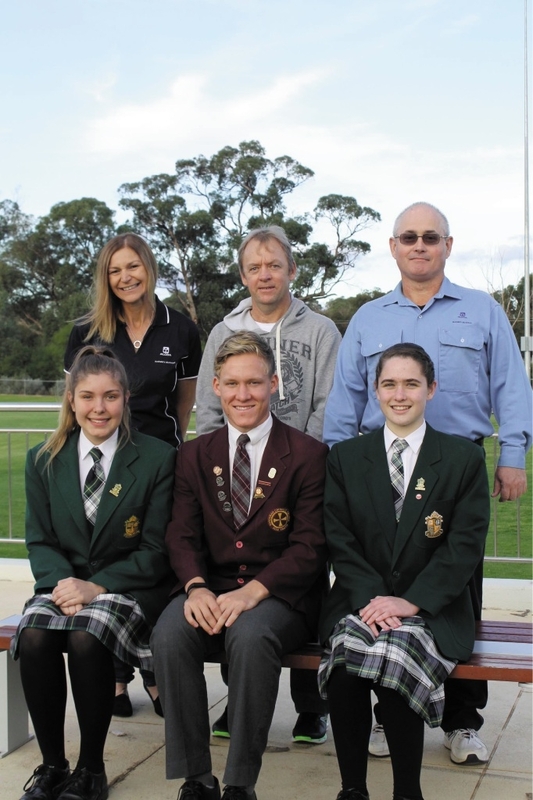 The successful students were Chloe Butler and Cassie Howell from Frederick Irwin Anglican School and Michael Humble from Mandurah Catholic College. Parents of the three students are employees of Alcoa’s Pinjarra and Wagerup refineries and Huntly and Willowdale. Hundreds of high school students globally apply for the sought-after scholarships and five WA and two Victorian students were selected this year. The seven students intend to study at leading Australian universities in the fields of science, environmental science, psychology, sports science, international law, chemical and civil engineering and project management. Chloe and Cassie were ecstatic when told they had won. Cassie plans to study science at UWA and will use the scholarship to help pay for accommodation expenses. “By living near the campus I will be able to participate in leadership programs and be actively involved in the university community,” she said. Michael is looking forward to starting a physical education/ sports science degree at the University of Notre Dame. “I advocate the importance of good health and physical exercise so would like to work in the sports industry or as a physical education teacher,” he said.